Kathy focuses her legal skills in the areas of appellate practice, residential real estate, and pre-trial civil litigation involving personal injury, commercial disputes, and probate matters. She has authored and argued numerous motions in the circuit court, several of which have resulted in favorable final resolution for her clients without the necessity of a trial. 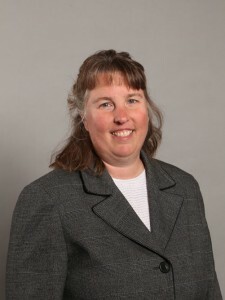 She has won appeals in the Illinois Appellate Court, both as an appellant and as an appellee and has prevailed in federal court before the 7th Circuit Appellate Court as well. Kathy’s path to legal services began before attending law school when she worked for the Cook County State’s Attorney’s Office as a legal clerk and then for Cook County’s Pretrial Services Department as a Pre-Trial Officer. While attending Chicago-Kent College of Law, she distinguished herself by winning four class awards and serving as an Editor on the Law Review Executive Board and as an extern for the Honorable Marvin E. Aspen of the United States District Court for the Northern District of Illinois. She was also admitted to the prestigious Order of the Coif. Subsequent to graduating law school with high honors, Kathy had the privilege of serving as a law clerk for the Honorable Philip L. Bronstein in the Circuit Court of Cook County. In 1998, she joined Rooks, Pitts, and Poust as an Associate Attorney. She then had her own real estate practice for a few years before joining Kavanagh Grumley & Gorbold, LLC. Kathy hails from St. Louis, but has lived in the suburban Chicago area since graduating college. She is the proud mother of two children and was very active in her children’s school districts for many years. She is an active member of her church, coached volleyball for several years, and has volunteered at a homeless shelter for more than twenty years. Kathy looks forward to the opportunity to assist you with your legal needs.